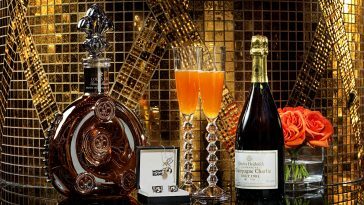 Oscar’s Steakhouse at the Plaza Hotel & Casino is regaling guests with old Vegas memories and new menu items. 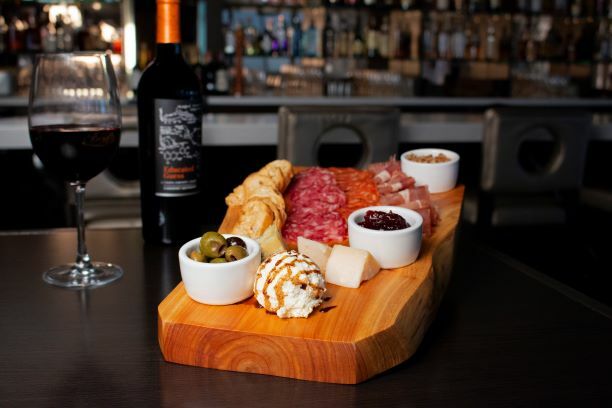 The downtown Las Vegas restaurant recently unveiled several dishes named for friends and family of former Las Vegas mob attorney and mayor Oscar B. Goodman. 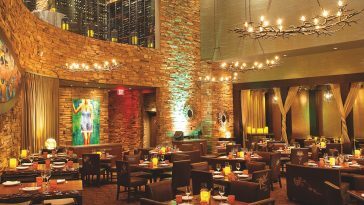 Their personal stories are detailed in an Oscar’s Steakhouse “Black Book,” a reference to the infamous list of people blacklisted by Las Vegas casinos, usually because of their ties to organized crime. Among the friends and family listed in Goodman’s restaurant “Black Book” is his wife Carolyn, the current mayor of Las Vegas. Her dish is a Vegas classic, Carolyn’s Prime Rib. 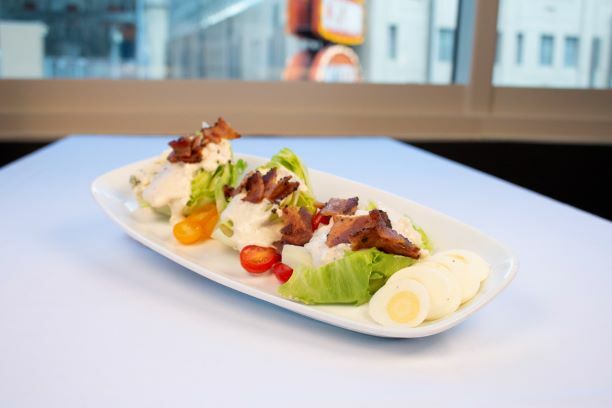 There are a dozen new and refreshed items on Oscar’s menu, including appetizers, salads, and entrées. 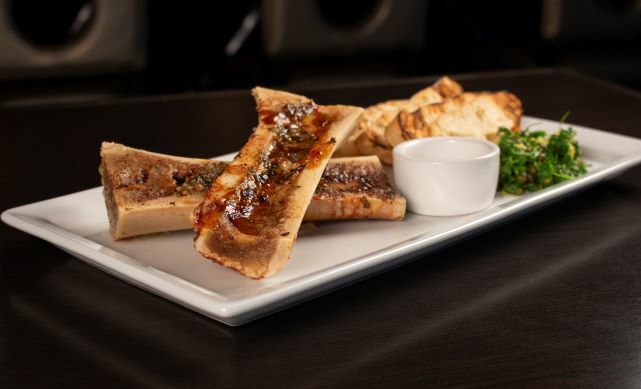 Named for one of the city’s founding fathers, Benny Binion, Benny B’s Roasted Bone Marrow is a new appetizer of bone marrow topped with herb butter and demi-glaze, then roasted until golden brown. Binion opened the popular gambling hall Binion’s Horseshoe in 1951. Goodman often ate with him at his table at Horseshoe, along with Judge Harry Claiborne, private eye Eddie La Rue, and Benny’s wife Teddy. Binion, who died in 1989, was considered a tough guy, but Goodman describes him in the book as having “the heart of a cream puff.” His appetizer is served with grilled bread and a lemon, caper, shallot, and parsley salad. Another new appetizer, Charlie Moose’s Thick Cut Grilled Bacon, is named for Charlie Panarella, who along with Natale “Big Chris” Richichi (see Big Chris’ Osso Bucco below), presented Goodman with a trophy of two steel balls. Goodman considers the trophy one of his most prized gifts and hung it prominently above the door of his law office. 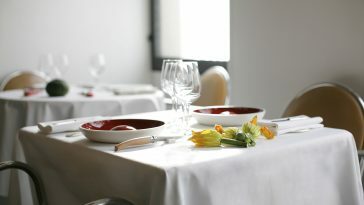 The juicy bacon appetizer features a double-cut pork belly grilled with a homemade jalapeño honey glaze. According to the book, Kaye would use a pay phone outside the legendary Churchill Race and Sportsbook on the Las Vegas Strip to relay his bets to gamblers all over the country. “The FBI took his picture jumping up and down trying to put coins into the telephone slot,” he wrote. Kaye went to Goodman for help when he was subpoenaed to appear before the Federal Grand Jury. Big Chris’ Osso Bucco is a new entrée on the menu. 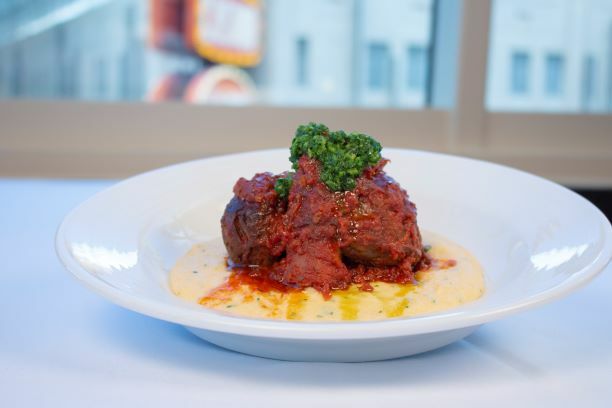 Named for John Gotti’s Consigliere Natale “Big Chris” Richichi (mentioned in the new bacon appetizer above), the traditional serving of braised veal is cooked for hours in aromatic vegetables, white wine, Italian herbs, and vine-ripened tomatoes. Goodman was held in contempt of court for refusing to honor a grand jury subpoena in regards to an extortion charge against Richichi. Goodman was later criticized by the FBI when, as mayor of Las Vegas, he attended Richichi’s funeral. But Goodman has no regrets. Big Chris’ Osso Bucco is served over polenta and topped with herb gremolata. Other new menu items include No Nose’s Mob Meatballs, Nick & Cork’s Italian Market, Fat Herbie’s Wild Mushroom Soup, and Joe Pig’s Pork Chop. 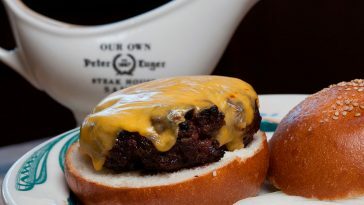 Longtime favorites like Johnny Quinn’s Crab Cake and Joey C’s Filet Mignon are still on the menu. In addition to appetizers, salads, soups, sides, and entrées, Oscar’s also has a large dessert menu and a full cocktail menu, including some new handcrafted libations. 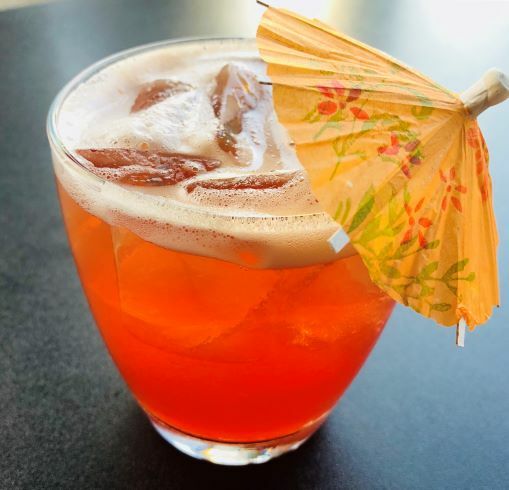 Among the new cocktails is The Defendant, a mixture of Bourbon, Bauchant liqueur, lemon juice, simple syrup, and bitters. 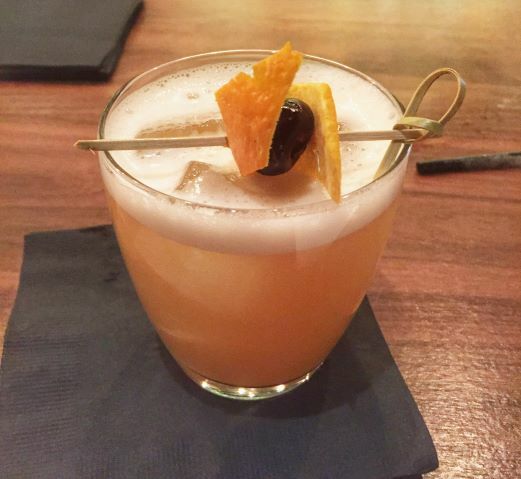 The Q 1908 features Empress Gin, lemon juice, and simple syrup. 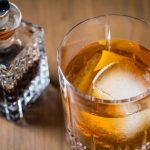 The third new cocktail, the Sazerac, is made from rye Whiskey, bitters, Absinthe, and simple syrup. 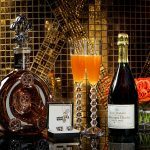 Oscar’s signature cocktail, The Hizzoner, also known as “What the Mayor Drinks,” remains the most popular libation on the menu. The cocktail features Bombay Sapphire Gin and jalapeño (and more Bombay Sapphire Gin). Goodman, who celebrated his birthday on July 26, has a reputation as the “Happiest Mayor in the Universe,” making his steakhouse “The Happiest Steakhouse in the Universe.” The glamorous and uniquely Vegas restaurant overlooks the lights of the Fremont Street Experience. 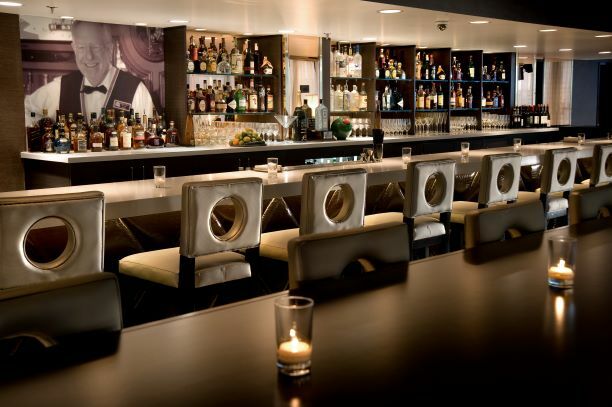 Adding to the classic atmosphere, crooner Larry Liso performs 1950s mood music live in the lounge on Friday and Saturday nights. 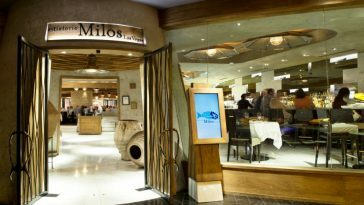 Winemaker’s Table Dinner at Estiatorio Milos in Las Vegas Gives Long Overdue Credit to Fine Greek Wines.